1-on-1 meetings are a great tool for motivating performance. In fact, 86 percent of highly engaged organizations use 1-on-1 meetings and rank them as the number one communication tool, above emails from leadership and all-company meetings. But how do you get the most out of 1-on-1 meetings? How do you use the time effectively? And how can 1-on-1s drive engagement? 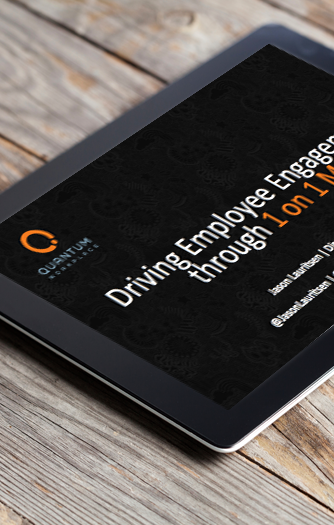 Join Quantum Workplace's Jason Lauritsen as he discusses best practices for 1-on-1 meetings and how you can ensure you use your 1-on-1 time to drive (not deflate!) employee engagement.